The GWP of R32 is 675, while the GWP of R410a is 2,088. These numbers may not mean much to the layman but they represent a significant difference in environmental impact. A kilogram of carbon is equal to 1 GWP, so 1kg of R32 is equal to 675kg of carbon, while 1kg of R410a is equal to 2,088kg of carbon. While neither value is perfect, the figure for R32 is only 1/3 of that for R410a, meaning emissions will be significantly lowered through the switch to R32. Ozone gases make up a protective layer in our atmosphere that allows the warming rays from the sun to be discharged from our atmosphere and keep global temperatures at a level that is healthy for existing habitats and environments worldwide. Many of the gases emitted by industrial products like refrigerants damage the ozone layer, which is theorised to be a contributing factor to global climate change which is causing irreversible damage to the Earth's natural habitats. R32 has been tested, and has an ozone depletion potential of zero, so any leakage due to improper maintenance or disposal of air conditioning systems will not harm the ozone layer. Studies have shown that the primary area where air conditioning systems lead to increased carbon emissions and damage to the environment is the consumption of energy that is used to power them. In fact, research from Emerson Climate Technologies in North America (https://www.epa.gov/sites/production/files/documents/RefrigerantUpdates.pdf) suggests 95-98% of the environmental impact of air conditioning systems comes indirectly through energy consumption, while only 2-5% is from refrigerant leakage. R32 has been shown to be around 7% more energy efficient (https://pdfs.semanticscholar.org/6712/625be1e77dd48ca382f14b4b1aa6c89646c4.pdf) than R410a, which amounts to a significant reduction in environmental impact in the long term. 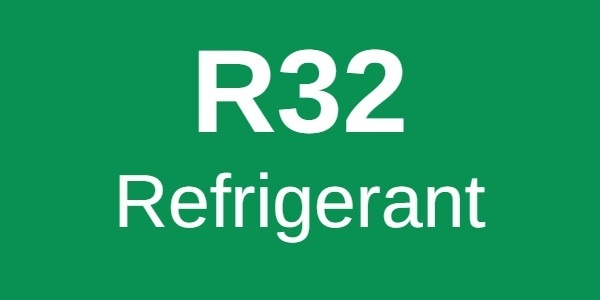 R32 is a single component refrigerant, which makes it easier to reuse and recycle than the more complex chemical composition of R410a. What's more, it is relatively inexpensive to produce because its composition is simpler and it doesn't separate. It can be produced using familiar technology, so production costs can be kept low which transfers over to the user. The move to R32 is undoubtedly better for the environment, and thanks to its energy efficiency it could also mean savings in costs for those who use them. R410a has seen its time come and go - it was a great improvement on what came before it, but modern advances in technology and demands from legislation are putting the final nails in the coffin of R410a for good.